dies ist meine neue Webseite auf der ich Resourcen für den RPG Maker VX Ace präsentiere sowie einige Screenshots von meinen Karten. Ich kreiere mit Vorliebe Karten sowie neue Tilesets dafür. Ihr könnt mich auch anheuern, damit ich Karten für euere Spiele erstelle. Mehr Informationen dazu unter “Hire me”. this is my new website on which I present some of my resources for RPG Maker VX Ace as well as some screenshots from my maps. I like to create maps and tiles for said maps. You can also hire me to make maps for your games. More information under “Hire me”. These are maps I did for the Ancient Dungeons Base Pack made by Celianna. Some of those maps are pretty big, so it is best to view them in full resolution. 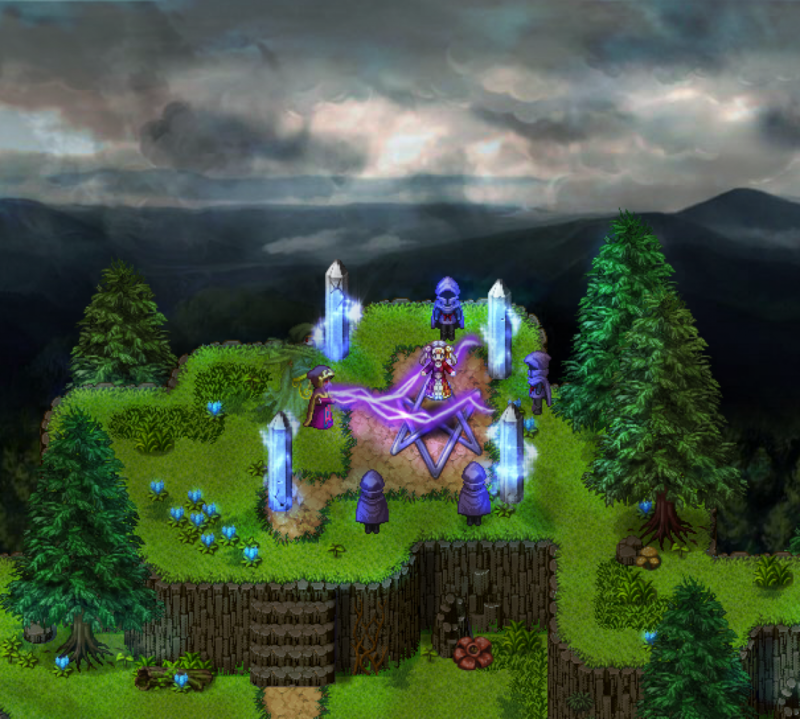 The chapel and the forest map are done with parallax, the port town map is solely done with RPG Maker VX Ace. I made a bigger version of the rtp cow and also some younger animals for the ship and my pig. Extra Credit goes to Pineda for the adult goose base! Here are some new tiles, especially useful for a farm. The animal boxes inside the barn might be hard to set up right since you want the animals behind the walls but the player sprite in front of it. Set the tiles in question to star passability and then use NeonBlack’s Large Sprite Display Fix Script. To hinder the player to walk into the boxes, you also have to work a lot with the 4-way passability settings, especially for the tiles under or over the star/terrain tag 7 tiles. 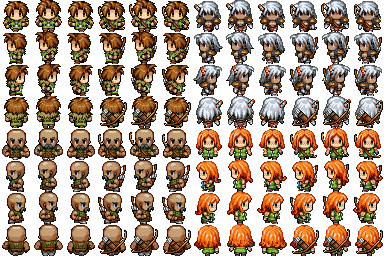 You’ll find some fitting animal sprites in my sprites section. 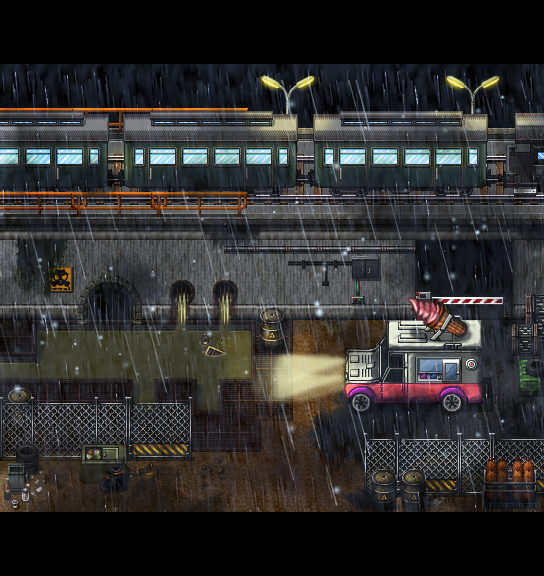 A parallax screenshot I made. The truck was a massive edit with a jeep from the Zombie Survival Graphic Pack. Don’t be afraid to heavily edit store packs to give them something unique for your maps. Matching portraits for the sprites I made. I love dark skinned characters, so you will probably see more of those in the future from me. Let me know if they get a role in your game. Some sprites I did. The red haired girl is for a portrait that Avery made. You can find her portrait in the rpgmakerweb ReStaff April 2015.